New Directions Publishing Corporation, 9780811201841, 228pp. The prose poems of the great French Symbolist, Arthur Rimbaud (1854-1891), have acquired enormous prestige among readers everywhere and have been a revolutionary influence on poetry in the twentieth century. They are offered here both in their original texts and in superb English translations by Louise Var se. Mrs. Var se first published her versions of Rimbaud's Illuminations in 1946. Since then she has revised her work and has included two poems which in the interim have been reclassified as part of Illuminations. This edition also contains two other series of prose poems, which include two poems only recently discovered in France, together with an introduction in which Miss Var se discusses the complicated ins and outs of Rimbaldien scholarship and the special qualities of Rimbaud's writing. 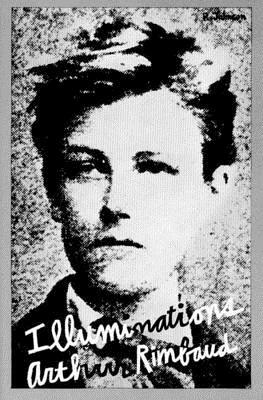 Rimbaud was indeed the most astonishing of French geniuses. Fired in childhood with an ambition to write, he gave up poetry before he was twenty-one. Yet he had already produced some of the finest examples of French verse. He is best known for A Season in Hell, but his other prose poems are no less remarkable. While he was working on them he spoke of his interest in hallucinations--"des vertiges, des silences, des nuits." These perceptions were caught by the poet in a beam of pellucid, and strangely active language which still lights up--now here, now there--unexplored aspects of experience and thought.